The partnership also means fans in the US will get near-live highlights on Twitter. With the 2018 FIFA World Cup in Russia just around the corner, right holders to the event are starting to share more details about their coverage plans. And, to no surprise to anyone, social media will play a major role in that. 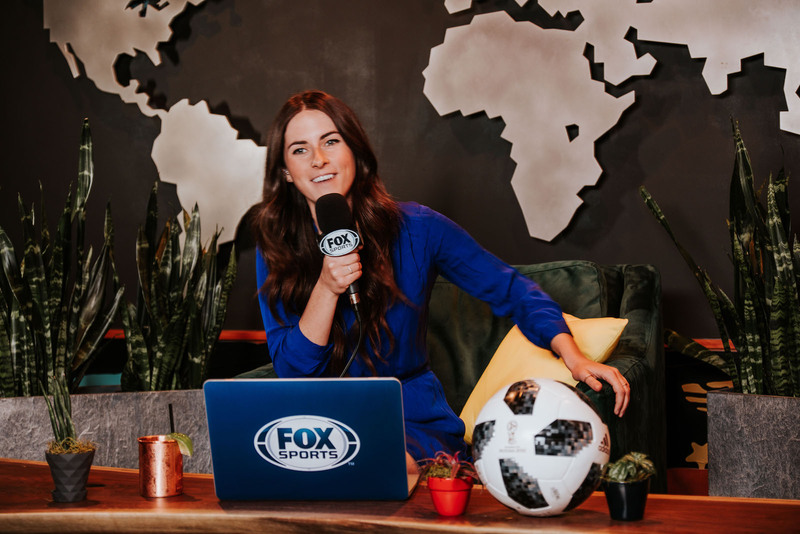 Fox Sports, FIFA's English-language broadcast partner in the US, is going all out on Twitter this year with a partnership that includes a daily, 30-minute live show from Russia and bringing near-live highlights to the platform. Twitter, which has around 330 million active users, has been ramping up its sports efforts in recent years, and it plans to use the upcoming World Cup to showcase the power (and potential) of its platform. Just yesterday, the company announced a three-year deal with Major League Soccer to stream 24 games per season. Fox Sports says that the show created alongside Twitter, called FIFA World Cup Now, will have 27 episodes -- all of which are going to be streamed from a studio on Moscow's Red Square. It'll feature match previews, recaps, guest appearances from the likes of US football legend Alexi Lalas and, of course, reactions from the world of Twitter. The network also plans to produce original content on the ground in Russia. Most importantly, perhaps, the partnership will let Twitter users watch highlights for each game almost in real time. Fox Sports says it can deliver cut-downs of notable moments, like goals scored, to the site in about two minutes. That's impressive considering that, during the 2014 World Cup, it used to take ESPN 15 minutes to deliver highlights to the internet. In addition to that, Twitter is also getting access to videos featuring player and coaches interviews, as well as pre- and post-match press conferences. It's worth noting that Fox Sports' daily live show and the other content it's making for Twitter will only be available for users in the US, as the network only holds the rights to the 2018 World Cup here. The show will stream live to Twitter from Red Square in Moscow, Russia. "When you think of something as seminal as the World Cup," said Kay Madati, Twitter's vice president and global head of content partnerships, "it just presents this opportunity to marry the conversation that's happening around the sport, and amplify it on our platform." He said that, through efforts like the 2018 World Cup live show, Twitter is able to connect fans to the sport in a new, creative way -- especially those who won't be attending the event in Russia. Madati said that during the 2014 World Cup, which took place in Brazil, there were nearly 700 million tweets about it, noting that to this day the Brazil-Germany semifinal match is still the most-tweeted event in Twitter's history. "I'm hoping to see that we break some of the records that we set before," he said. Madati pointed to these type of partnerships as being core to Twitter's business strategy. The company also teamed up with People TV recently on an Oscars show, and it now also has a live NFL news and analysis program. Not surprisingly, Twitter isn't the only one ramping up its video efforts, other industry giants like Facebook and Amazon are investing billions of dollars in the space. But regardless of the competition, Madati believes Twitter continues to be the best place for interactive commentary, as it lets people have conversations with one another around something they love (or hate) in real time. "For us," he said, "I think that we present a unique value proposition for users, and our business partners to actually extend reach, engagement and visibility, and fandom around sports or any other kind of activity in general."